The Volunteers Week is for all organisations, large or small, public or voluntary – if you involve volunteers, or would like to, then join in the celebration! Volunteering has never been so high profile – so make the most of it; chances are that people will be even more receptive to your ideas. 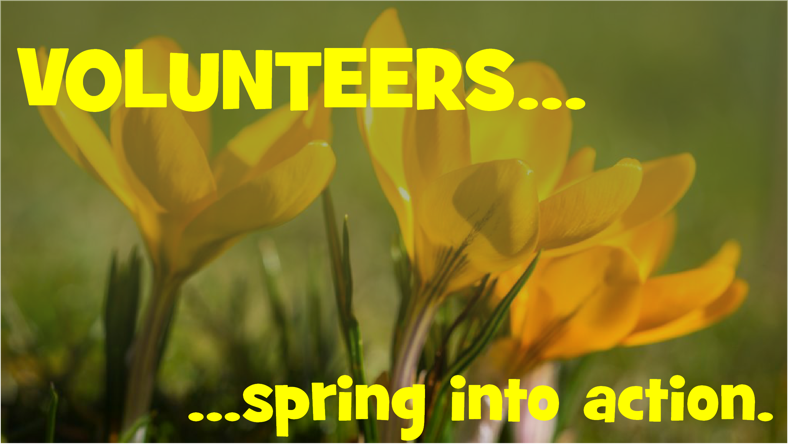 Get the media and the public involved and make your Volunteers Week the biggest and best yet. Remember, Volunteers Week is about having fun, so plan something do-able and enjoy making it happen. If you don’t feel you have the resources to run an event alone, then why not team up with a like-minded organisation and promote your activities together. “Recruiting” – new willing hands! The aim of the week is to have fun and celebrate, so why not do just that!